At the start of this year, we could of course look back and evaluate 2018. However, it is closer to the nature of a treasury professional to look ahead! Six key questions that treasurers could – or even better: should – ask themselves at the start of 2019: Ranging from clarifying the CFO’s expectations and external requirements to identifying opportunities brought forward by new technologies – ultimately all aimed at defining your treasury roadmap for the upcoming year and beyond. 1. What does the Chief Financial Officer (CFO) require from Treasury? While we consider the first three objectives well covered in the different corporate treasury media, the term antifragility may require some more explanation, especially in relation to the treasury function. In Zanders’ vision, the treasury function of the future will be one that should be increasingly antifragile. This term is coined by Nassim Taleb, known for his book Black Swans in which the extreme impact of rare and unpredictable outlier events — and the human tendency to find simplistic explanations for these events, is described. With antifragility he describes objects or entities that thrive in volatile environments and learn to benefit from exogenous shocks. Most companies take a more robust approach, preparing their organization for such shocks and, ideally, making them resilient to them. However, the treasury landscape is heavily influenced by all kinds of external and internal shocks and volatile events, for example regulatory changes, technological advances, spin offs, acquisitions, and macroeconomic events. In such an environment, an antifragile treasury function may be the best fitted to survive. One which not just braces for the impact of an exogeneous shock, but expects, adapts and thrives in such an environment. This is quite different from the traditional risk mitigating treasury function. To facilitate this a treasurer will need to consider the competencies of the team, but also its processes and systems, and rethink the overall organizational structure. 2. 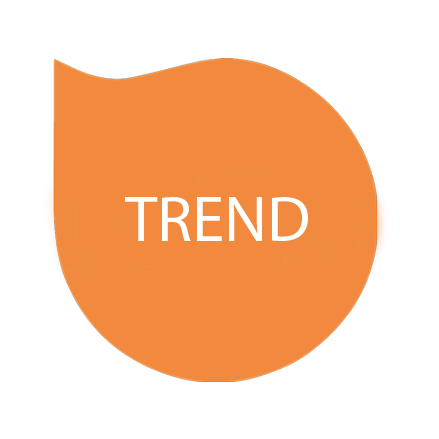 How can we benefit from emerging treasury technology today? There is a sea of emerging ‘exponential treasury technology’ expected to impact or even disrupt the treasury function rather sooner than later. Today’s technologies do not develop linearly, but exponentially. Past experience has proven that expectations need to be slightly tempered. In addition, many corporate treasuries are still struggling with seemingly fundamental challenges such as obtaining cash/risk visibility, cash flow forecasting and manual payments. It is however very valuable to track and start building a fundamental understanding of these new technologies in order to be able to identify the opportunities. Some solutions, such as Robotic Process Automation (RPA) are already in a stage where they can be implemented and utilized to a degree that unlocks significant value. However, before considering new technology one needs to clearly define the objective. This should be linked back to your answer to the previous question and the CFO’s point of view. Subsequently, identify the right solution for the right problem! Are there many repetitive manual tasks in a process, then RPA can be the right solution to achieve more (cost-) efficient and flawless operations. Does your organization want to adopt a more strategic risk management approach based on a considerable volume of available data, then big data analytics may provide the answer? Before anything, always remember the golden rule to first centralize and standardize a process, before automating it! 3. Do I have sufficient visibility on the impact of never-ending regulatory reform? Over the past decade, regulation became an area where treasurers spend an increasing amount of time, making it a key external factor of concern. It gives rise to a new operational risk category on its own, being Compliance Risk. Like it or not, regulatory compliance is an area which requires ongoing and pro-active monitoring and cross-functional impact analysis. It is simply homework that needs to be done. While we do not intend to provide another long, yet still incomplete list of regulatory changes, we would like to highlight two key topics which have an over encompassing impact. The first one is the replacement of IBOR benchmark interest rates. Benchmark interest rates are an essential part of financial markets. These interest rates are used for numerous financial products, such as bonds, loans and derivatives and in the construction of discount curves for valuation models. The transition from IBOR rates to a new risk-free reference rate (RFR) benchmark imposes many significant challenges for both financial institutions as well as corporates. In this article we discuss the challenges associated with this transition and discuss three possible transition scenarios. Another important topic on the treasurer’s agenda remains intercompany loan pricing and the increasing scrutiny that intercompany transactions receive. The OECD’s BEPS regulation requires international companies to price their intercompany transactions at arm’s length, i.e. as if they were priced by an independent party. To prove that intercompany transactions are priced consistently with an arm’s length approach, corporates will need to clarify the rationale behind their intercompany transaction pricing. Our BEPS compliant Intercompany Rating & Pricing (ICRP) tool, available on the Zanders Inside™ platform, offers multinational corporate clients arm’s length transfer pricing documentation for intercompany finance transactions. 4. Is my control framework robust enough to avoid human error (or worse)? As treasury professionals we are all aware of the importance of financial and operational risk management, and the need to implement a robust governance and control framework. After a series of high-profile cybercrime events, cyber risk management became quite topical in recent treasury publications, encouraging corporate treasury departments to implement comprehensive security measures. While we would never argue against that, at the same time we still observe and hear from our clients that the vast majority of cases of downtime are caused by internal system failures and human error, rather than external cyber-attacks. So perhaps it is wiser to strengthen and improve your framework to confirm you have the right checks and balances, but also mechanisms to deal with the unexpected. How would you act in case your systems are out for three weeks and you have to revert to paper? It is of paramount importance to have your contingency plan in place and tested periodically trough treasury fire drills. In today’s day and age, preparing for the future should include preparing for inevitable cyber risk. 5. Do I have the right team in place to support my treasury strategy & objectives? Zanders observes a gradual change in the skillset and profile of treasury staff. Being part of a typically ‘lean and mean’ function always meant treasury professionals are required to be qualified, flexible, multi-disciplinary, critical and communicative. However, next to these qualities, an increased emphasis is placed on technology skillsets. Corporate Treasurers and CFO’s are increasingly looking for employees who can easily navigate through the maze of ERP, TMS and banking systems which are found in most large companies. They may also need people who can deal with Fintech and exponential technology to bring the treasury function to the next maturity level. For that, you need tech savvy staff to select, design, implement and maintain the right solutions. Next to hard IT skills, this also requires soft skills such as the ability to cope with an increasing speed of change. As a result, corporate treasuries should recruit staff with an inherent intellectual curiosity and eagerness to explore new ideas and technologies. At the same time this kind of staff is also more expensive, more difficult to find and more difficult to retain, as a result posing a new kind of challenge for Corporate Treasurers in the future. 6. What should be on my Treasury Roadmap? With so many uncertainties, it is difficult to have a clear vision on the (treasury) road ahead of us. You can ask yourselves whether long term planning for treasury adds value because our actions are steered by unknown surprises in financial markets and (geo)political changes. And besides, if you do not know where you are going you cannot get lost! But in our opinion a Treasury Roadmap could help as tangible tool to provide guidance on this road. A treasury roadmap establishes prioritization and focus for the future development of the treasury function. Answering the above questions ideally results in a clear list of concrete steps to further optimize your treasury function, meet internal and external requirements and respond to market developments. However, defining the next steps and translating these into a one or multi-year treasury roadmap might not be a straightforward task. 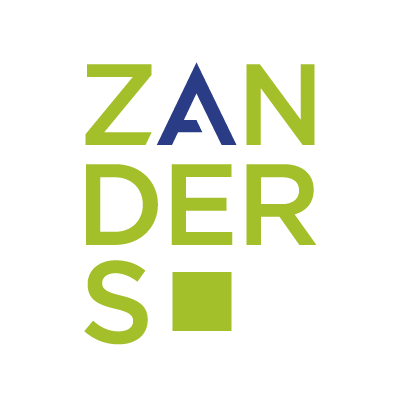 Zanders’ Strategic Benchmark Assessment is focused on treasury organizations that are eager to enhance their treasury and desire to move towards best-in-class, regardless of their size or current status. Strategic benchmarking is interesting for almost every organization with treasury activities. Afterwards you know exactly which steps have to be taken to enhance your treasury organization, exploit the potential, save costs, and carefully manage the risks. Zanders is ready to support your treasury team in meeting your target maturity level and realizing its full potential! For questions on treasury-related challenges, please contact Job Wolters on +31 35 692 89 89.